It’s the 22nd December and I reckon some kids can already hear the reindeer pulling hard on the old bearded weird one’s sleigh. That means of course that we are now up to Day 22 of this years advent calendar blog posts. 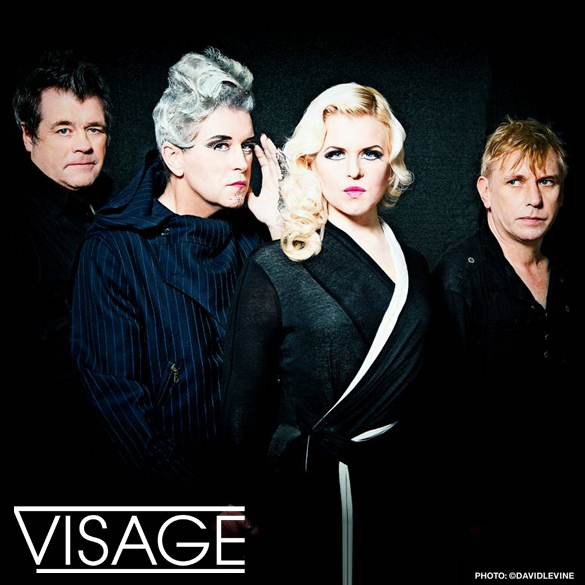 The 22nd letter of the alphabet is ‘V’ so todays entry in the ABC of British bands is Visage. 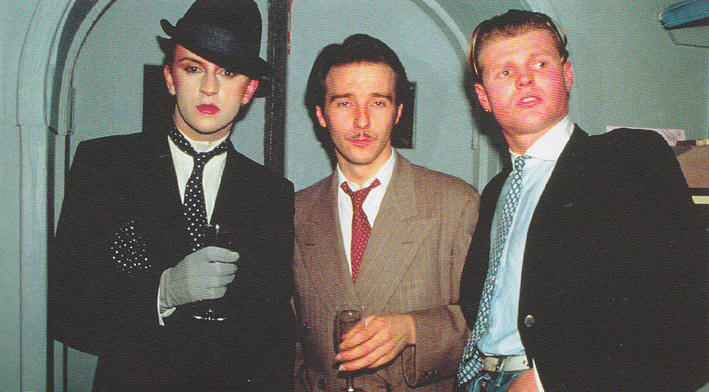 Visage were formed in 1978 by Steve Strange and Rusty Egan after the pair had hosted club nights at the Blitz night club in London. They were really keen to find new music to play to their paying punters and finally they opted on producing their own. Egan recruited Midge Ure who he had worked with in the Rich Kids and the three of them recorded a cover of the Zager and Evans one hit wonder from 1969, “In The Year 2525”. 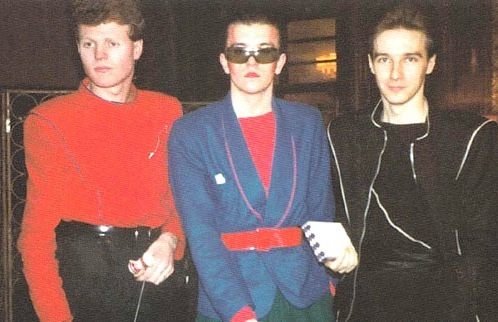 The band’s line-up was then enhanced with keyboard player Billy Currie off of Ultravox and three former members of Magazine; John McGeoch, Barry Adamson and Dave Formula. Their first album, entitled ‘Visage’ was released in November 1980. It made the top 20 in Austria, France, New Zealand and the UK. It also climbed to the top of the German album charts. The band’s highest charting album in the UK was 1982’s ‘The Anvil’ which reached number 6. “Tar” was their first single and it failed to chart when released in 1979. However the second single was “Fade To Grey” which was a hit across the world. It made the top ten in Austria, France, Italy, Belgium, New Zealand, Ireland and the UK. It hit the number one spot in Germany and Switzerland. None of their other singles have been anywhere near as successful. Earlier this month the band released an album called ‘Orchestral’ which has reworkings of their best songs by a symphony orchestra. In 2009 Rusty Egan and Steve Strange appeared in Living TV’s ‘Pop Goes The Band’ where former bands are given a make over and return the favour by undertaking a one-off performance. Strange also appeared in an episode of classic TV series ‘Ashes To ashes’ playing “Fade To Grey” in the Blitz club with Visage II keyboard player Sandrine Gouriou. That episode was set in 1981. Steve can also be seen, along with other Blitz regulars, in the 1980 video for David Bowie’s UK number one, “Ashes To Ashes”. Now it’s time for you to relive those Blitz days and maybe get yourself blitzed with eggnog while listening to Visage. "But most of all you are just absolutely booty-full"
"The Beatles new record's a gas"
"Show the colour of your crimson suspenders"
"Okay, Coconut man, Moon Heads and pea; you ready?" "We make out in your Mustang to Radiohead"